Loud & Clear September 30th 2010 – save an innocent life. Seems every other day I got a new blog, 🙂 just got lots to write about. I have some soon to be made changes to write about, Katie is simply only human & thus unable to handle everything pertaining to me, more so with two kids & law school. She will still be over my defense fund & working on many other aspects of my campaign, such as my website & communicating with my legal team, though others will deal with the social networking site & blogs; as for my defense fund. In the near future SAIL will be established as a registered Non profit organization. 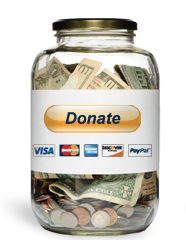 This way any donation is tax deductible. In the past I never worried about getting it registered with the government. As it’s a bunch of hassle. Plus I do not do anything with the funds donated, outside of the intended purpose of such. In the past the funds were just sent to Katie. A problem with that are taxes! I decided it would be best for all to just go ahead & get it all established as a legit non profit. All the paperwork is getting put together. After all is set for the U.S.A, then I am going to get SAIL registered as a non profit in most likely France, for European donations. Michele is going to help me with the U.S Facebook. I have some other ideas currently being developed. Once all of that is sorted I will post about it. Tali will be maintaining my currently being developed blog site, as well as other ‘feet on the ground’ activities. We are still on lock down so stamps will be limited for awhile. I ask that those I write please bare with me. People can still write me. I will get my response written, though I can not mail it until after lock down. So, please write as normal & I will respond a.s.a.p. Magazines, I started to get many of them that were ordered. It seems some ordered ones I already get. I have gotten, Yachting, G.Q, Details, Outdoor Life, Rolling Stone, Wired and Psychology Today. I already received Time & Newsweek. Some just take longer then others to arrive. So if anyone tried to order me any of those magazines *within the last 2 weeks* Please cancel the order, as I certainly see no need in getting 2 copies. Thanks. My case; I spoke with my lawyers last week. That was a good thing. No news other then they have two more lawyers assisting with my current appeal. I finished reading some transcripts from the hearing, & other legal papers that wasn’t stolen from me, which I am still trying to get the rest back. Anyways, I actually came across something very good. I can’t write about it yet, I will when the appeal is filed, as all will get to see a copy of it; though when I read it, I literally started to shake with excitement, laughed out loud, & said out loud, “gotcha!” It within its self is not profound, but the way it all came together. By the end of October you all will be able to read it for yourself. I gotta go. Take care.